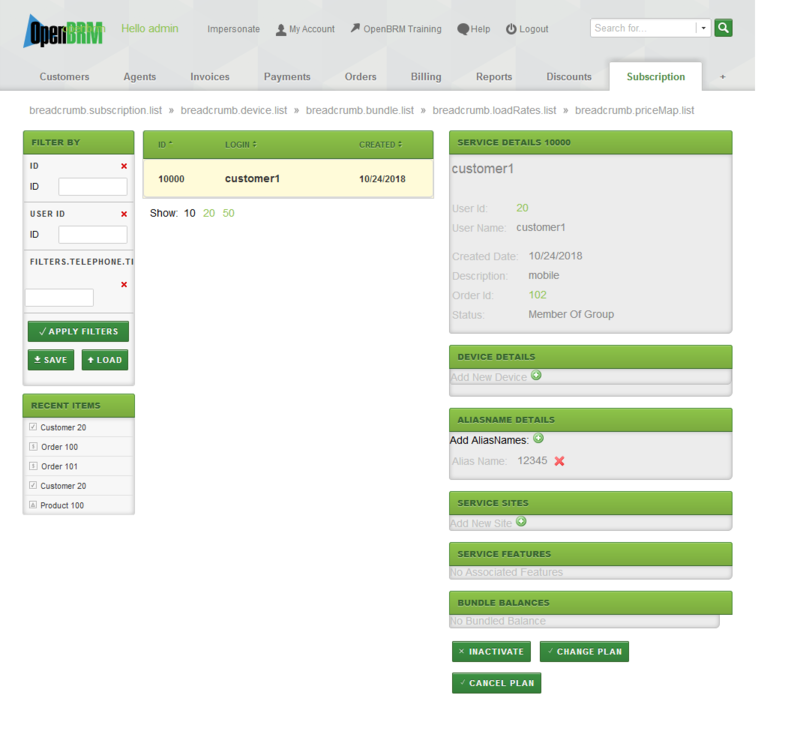 Best of the breed Free Open Source Billing System and CRM! 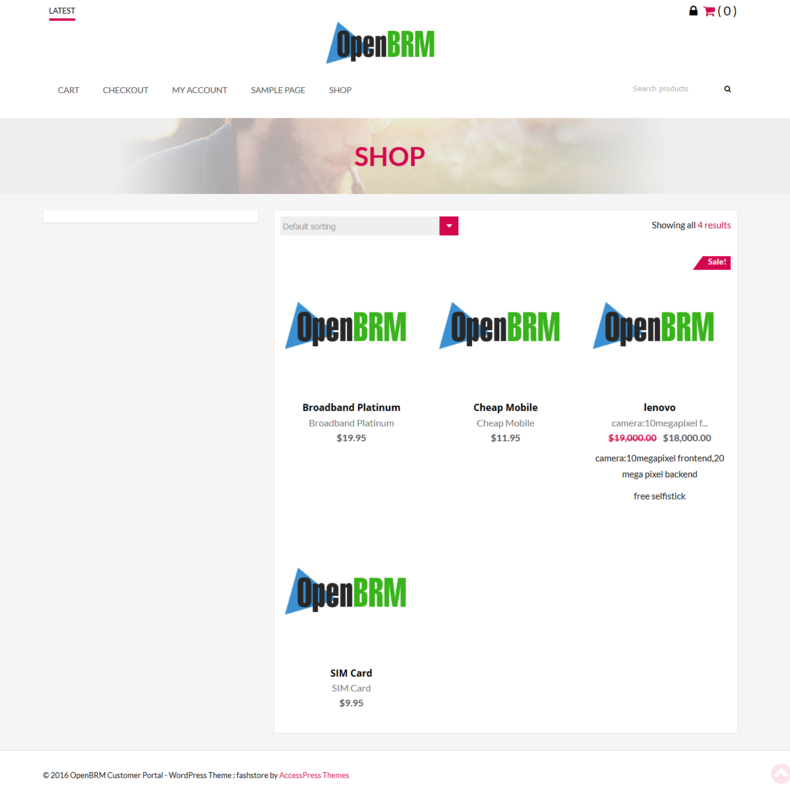 OpenBRM deploys with an integrated ecommerce component which let's you launch your website in few minutes. Just not website, start selling your subscription products online immedialtely. 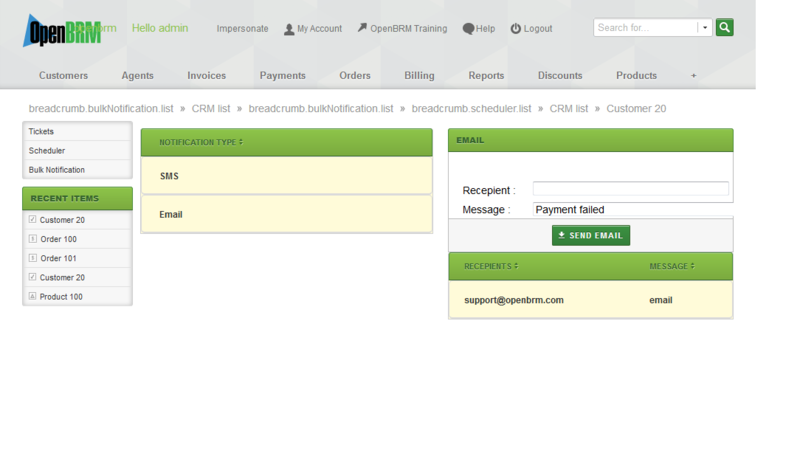 In the background, OpenBRM takes care of recurring billing, payment processing etc. '3 Month Free High Speed Broadband @ just $9.95 from 4th month with one-off setup fee as little as $10'. OpenBRM deploys with a generic Invetory module. Helps service providers track customer devices in the billing system. It supports various device type like SIM, MSISDN, MODEM, IP pool and OTHER to address alomost any of the business specific requirement. Inventory manager is seamlessly integrated with subscription management. 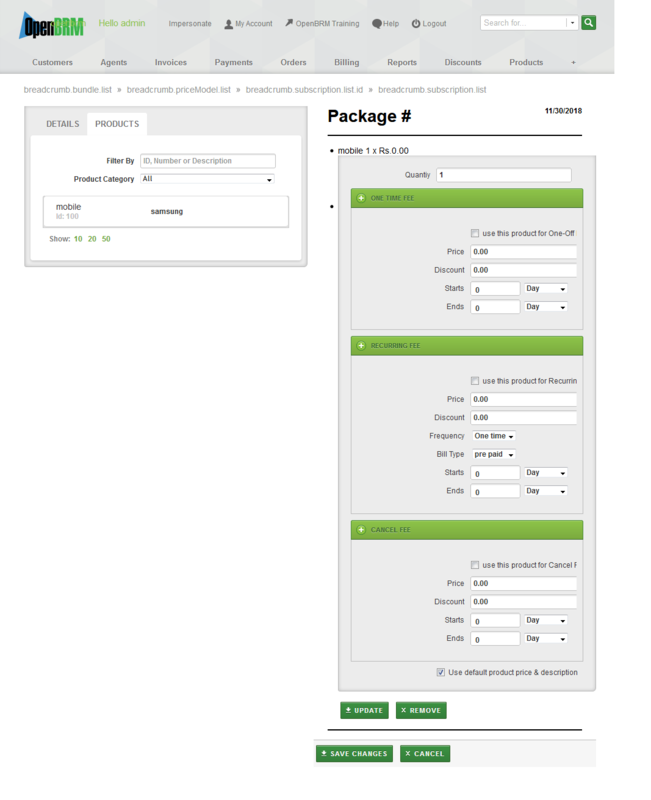 Subscription Manager is designed to handle every operation around the customer's subscription. Change Plan, Upgrade, Downgrade, Cancel Plan, Activate, Inactivate (provisioning interface too). 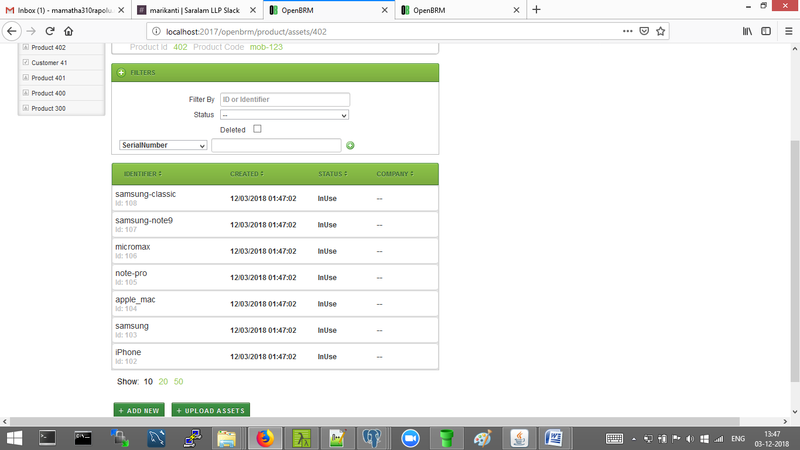 Link device, update associated device, manage bundled credits etc..
OpenBRM exposes all the API over SOAP, REST etc. It enables easy integration with any system like CRM, company website etc. 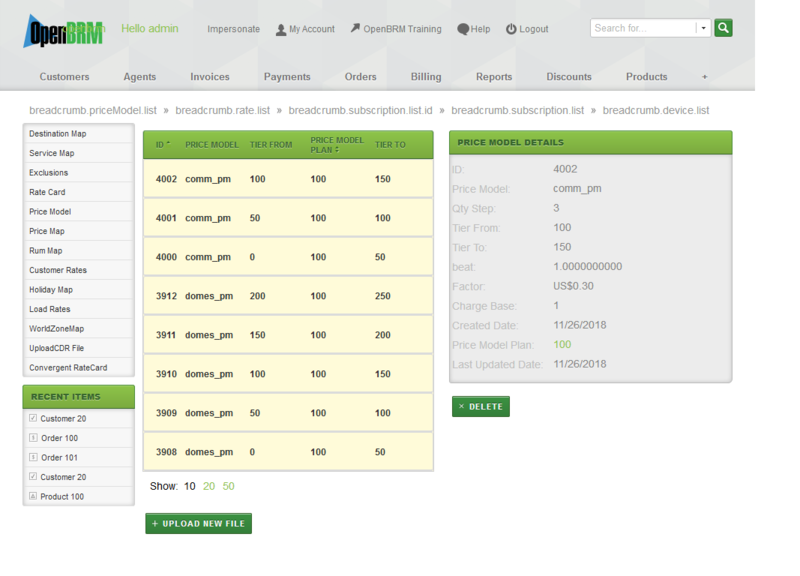 OpenBRM an open source billing system offers industry-leading features and functionality. 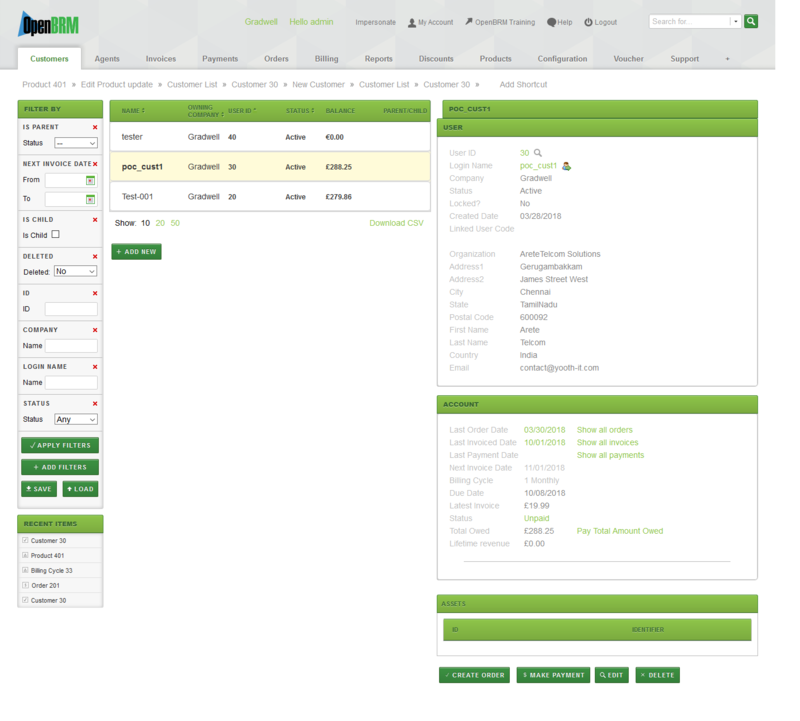 OpenBRM is a mature open source solution built on a time-tested framework. This means that OpenBRM is not only stable, reliable, and easy to use, but also gives you complete control over your payment software. 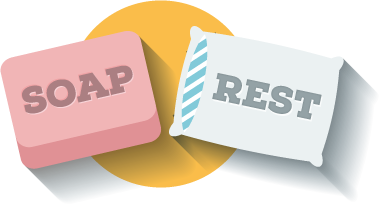 With a integrated OpenRate super fast rating engine, OpenBRM becomes best-in-class open source Billing and Rating software ever made. OpenBRM can accommodate a range of billing scenarios, including subscriptions, one-time payments, pre-payments, tiered usage payments, and more.